Kombucha Tea is a fizzy and a tangy beverage consumed mainly for detoxification, boosting immunity and gut health. You might get readymade bottled Kombucha tea in large health stores, which will work more expensive and there is always a concern about the preparation and additives. Now you can make your own Kombucha tea at your home with healthy Scoby, organic tea and sulphurless sugar to consume a superior quality beverage. As a family, we enjoy the drink ourselves, so we would to love to share the Kombucha scoby and spread the happiness and wellness. 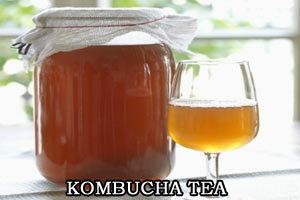 We brew Kombucha tea at home with organic scoby in a most sterile atmosphere, use organic tea and sulphur-less sugar. 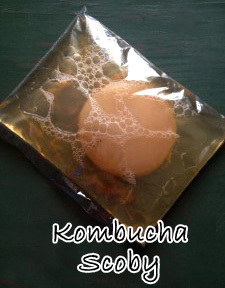 Yes, Our Kombucha Scoby is Organic, Healthy, and Ready to begin! You can trust and buy from us. You will get one healthy organic Kombucha Scoby with 1/2 cup Kombucha Starter. You can make upto 1 liter of Kombucha Tea right from your first culture. PLEASE NOTE: The size, texture and color of each SCOBY will vary. Ingredient: Scoby starter, 1/2 cup starter tea, 4 cups of non-chlorinated filtered water (tap water is fine*), 1/4 cup organic sugar (sulphur less), and 2 dip bags organic black or green tea. Utensils: Large Glass Jar, Wooden or Plastic Spoon, and Cloth to cover the lid of the jar. Boil 1 liter of drinking water. Water can be well water, tap water, or mineral bottled water. Remove the boiled from the stove, add 4 tablespoon of sugar and stir it well to dissolve completely. Dip 2 tea bags, immerse it and leave it aside until it cools down completely. If you are using loose tea leaves, you can put 1 tablespoon and sieve the leaves with a strainer before starting fermentation. Later, pour this brewed to glass jar, add the Kombucha Scoby (use plastic tong or your clean hand) and around 4 tablespoon or more starter tea (already fermented liquid). Leave atleast one inch gap to the brim of the jar. Cover the jar mouth with a clean cloth and tighten with rubber band. Keep it in a room or kitchen top (between 70 – 75 degrees would be best), not in direct sunlight for atleast 7 -10 days. Check the taste with the help of plastic straw, to check the taste you prefer and sweet content. If it tastes sweeter than desired, you can allow for some more days. You will also get to see baby scoby after fermenting, you can store this in separate glass jar filled with tea and sugar mixed water. You can add Ginger extracted juice and lemon juice to enhance the flavor. Use swing top bottle to store the beverage, this will avoid exploding of bottle. To clean your bottle for next batch of Kombucha Tea, use white vinegar and clean bristles brush to scrub and rinse it thoroughly in running tap. Don’t use dish washing chemicals. If the Scoby grows in bigger size, you can cut it with non-metal utensil and share it with your family. Kombucha Tea contains high quantity of good bacteria and yeast, and it will be acidic in nature (healthful lactic acid, pH around 3-5) Few of them with low immunity will react differently, so we would advice everyone to start this drink in low quantity (1 or 2 spoons per day to start), if you are comfortable you can increase the quantity gradually over a period of time. 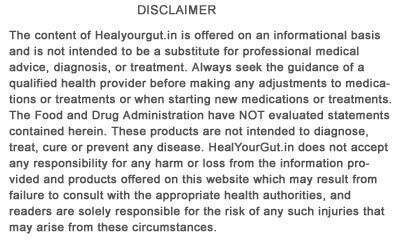 Kombucha not recommended for children under 5, pregnant women, lactating women and people who had surgery.